The Arizona Diamondbacks resurrected their MLB playoff hopes with a convincing 9-0 win at home to the Chicago Cubs. Arizona jumped out to an early 4-0 lead, touching up Cubs starter Cole Hamels for four runs in the bottom of the first inning on Wednesday. 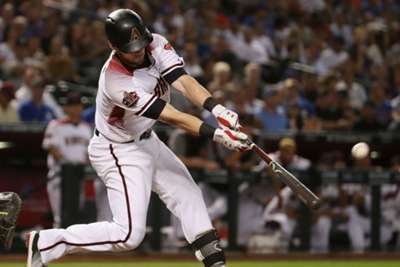 The Diamondbacks then added three more runs in the sixth to blow the game open midweek. Outfielder Chris Owings led the Diamondbacks with three hits, two runs scored, a home run and three RBIs. Robbie Ray started for Arizona, and tossed six scoreless innings with eight strikeouts, improving to 6-2 this season. Despite the win, the Diamondbacks are still third in the National League West, and they are still five games behind the St Louis Cardinals for the final wildcard spot, but the postseason is not yet out of reach. The Cubs were completely overrun, recording just one hit, while suffering their second loss in their last four games. They still hold a two-and-a-half game lead over the Milwaukee Brewers in the NL Central. New York Yankees slugger Luke Voit went four for four with four runs scored, two home runs and three RBIs in a 10-1 rout of rivals the Boston Red Sox. The Yankees were also helped by Luis Severino picking up his 18th win of the season by allowing just one run with six strikeouts in seven innings. Houston Astros starting pitcher Dallas Keuchel was rocked for five runs off six hits in five innings in a 9-0 loss to the Seattle Mariners. The loss moved Keuchel to 11-11 on the season with a 3.71 ERA. Jason Kipnis hit a walk-off grand slam to help the Cleveland Indians beat the Chicago White Sox 4-1. Boston have all but locked up the AL East with 103 wins already this season, but New York are still fighting for bragging rights. Eduardo Rodriguez (12-4, 3.53 ERA) takes the mound for the Red Sox to try and fend off Masahiro Tanaka (12-5, 3.47 ERA) and the Yankees on Thursday.